Yoga Nidra (Yogic Sleep) is a powerful technique in which you learn to relax consciously. True relaxation, as few have experienced in our modern world, is actually an experience far beyond our usual identification of resting, such as sitting down with a cup of coffee, reading a book, taking small naps or even our regular eight hours a night sleep. For absolute relaxation, you must remain aware. This is yoga nidra, the state of dynamic sleep. The ultimate state of relaxation is reached by turning inwards, away from our outer experiences. In this training, you will discover how to deliver a systematic method of inducing complete physical, mental, and emotional relaxation. Thai Massage is commonly known as Thai yoga massage and Thai yoga therapy. It is known in Thailand as nuat phaen boran(“traditional style massage”) or nuat Thai(“Thai massage”). Based on a combination of influences from India, China, and Thai traditions, this healing art form has been handed down through the generations mostly via oral tradition. Thai massage is directly related to yogic principles originating in India. It is also in many ways similar to Chinese massage techniques such as tui naiand reflexology as it is based on the theory of the flow of energy lines that run through the body. Thai massage can prevent bone degeneration, decrease stress, treat back pain, and contribute to psychological well-being. It can be varied to suit a wide range of physical needs, and is suitable for all ages and abilities. Chinese acupressure is based on the meridian system in traditional Chinese medicine. Meridians are energetic channels in the body in which our energy flows through. When energy stagnation occurs, we may feel fatigued, pain, and unease. There are numerous essential acupressure points in our body that can help relieve physical and emotional discomforts. Some of these discomforts may include anxiety, worries, headaches, insomnia, indigestion, sinus congestion, and more. In this workshop, you will learn the ways of traditional Thai massage in combination with Chinese meridians acupressure points. Is this a ladies only training? Yes. Registered students must be comfortable with touch. Traditional Thai massage is fully-clothed and applied on a thin mattress (yoga mats in this workshop). Why join the Thai Acupressure & Yoga Nidra training ? For many of us, we gather a lot of tension from our day to day life. Over time, the accumulated stress may cause physical imbalances such as headaches, migraines, indigestion, and insomnia. As well, we may also notice some emotional disharmonies like overthinking, irritation, anxiety, and sadness. 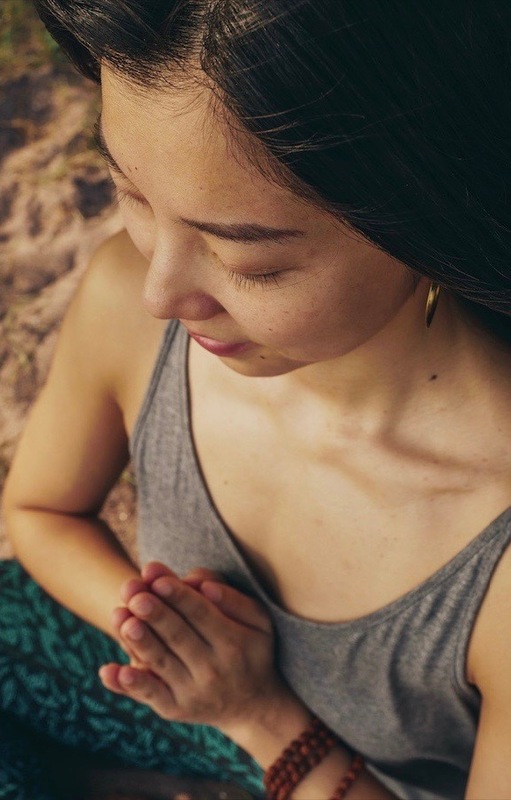 This two day workshop on Thai Acupressure and Yoga Nidra is designed for those who would like to experience true relaxation on the physical and energetic planes. Can I join this workshop if I do not have previous yoga experience? Yes, you can join this workshop without previous yoga experience. We do require you to have a receptive mind and are comfortable with touch. Can I join this workshop if I did not complete previous Yin TTC? Yes, this workshop is entirely based on Yoga Nidra, Thai massage and Chinese acupressure. Everyone is welcomed. What will yoga instructors gain out of this training? Yoga instructors will benefit from this workshop tremendously. As yoga teachers, it is essential to learn how to touch and transmit comfort to a student appropriately. We will explore some essential acupressure points for true relaxation and energy balancing. 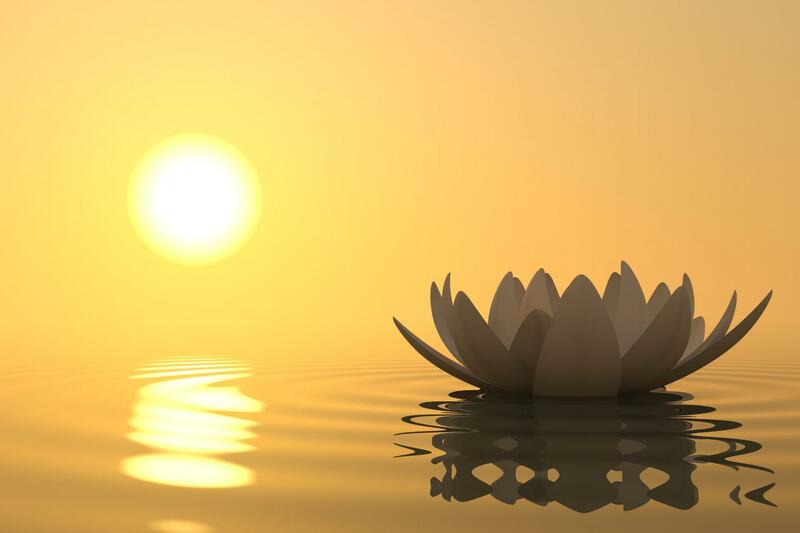 In addition, we will learn the depths and benefits of Yoga Nidra. It is an effective technique to promote deep relaxation, and can be added to any style of yoga classes. Yoga instructors will find the material in this workshop extremely useful to their everyday teaching. What certification will I get? Upon completion, you will receive a 18hr Yoga Alliance US accredited certificate. This is a certificate for Continued Education Credits (CEU). You must attend all of the hours to receive the certificate. Can I join only one of the days? No, students need to attend the full 2 days as they complement each other. Can I get a discount if I have joined a previous training with Annie Au in Abu Dhabi? 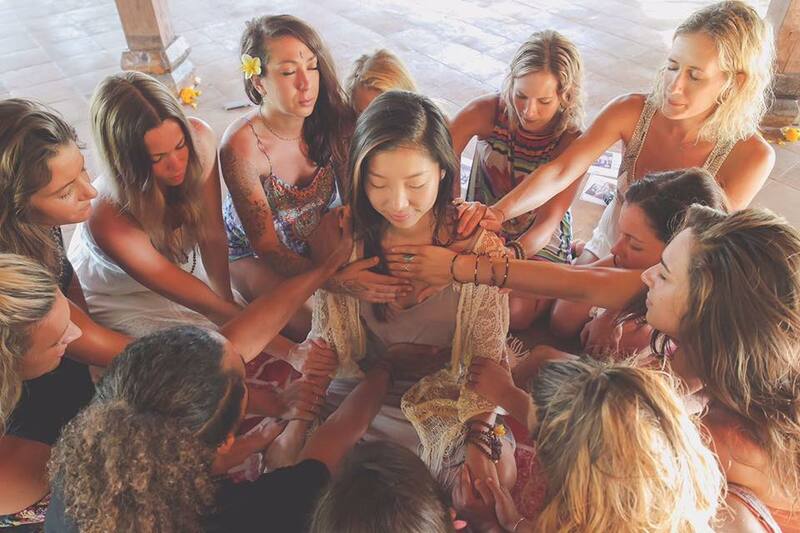 A professional nomad and advanced yoga educator, Annie travels and teaches yoga teacher training and workshops in Mexico, France, Canada, Sri Lanka, Thailand, and Bali. 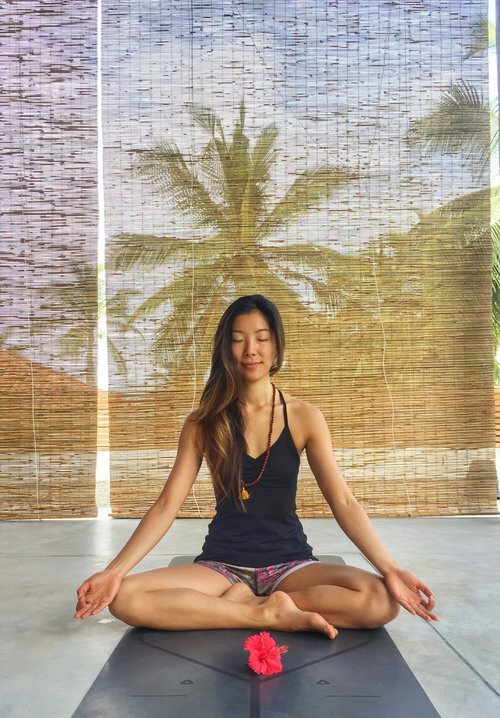 Annie is trained in various style of yoga including Ashtanga, Rocket, Dharma, and Yin Yoga. With gratitude, she has attended the 500hr & 800hr Life of a Yogi Teacher Training (LOAY) with the legendary Yoga Master Sri Dharma Mittra in New York City. Annie has a deep interest in our intrinsic emotional and spiritual connections with the physical self. In pursuit of this passion, Annie studies in depth the link between Yoga and Traditional Chinese Medicine. 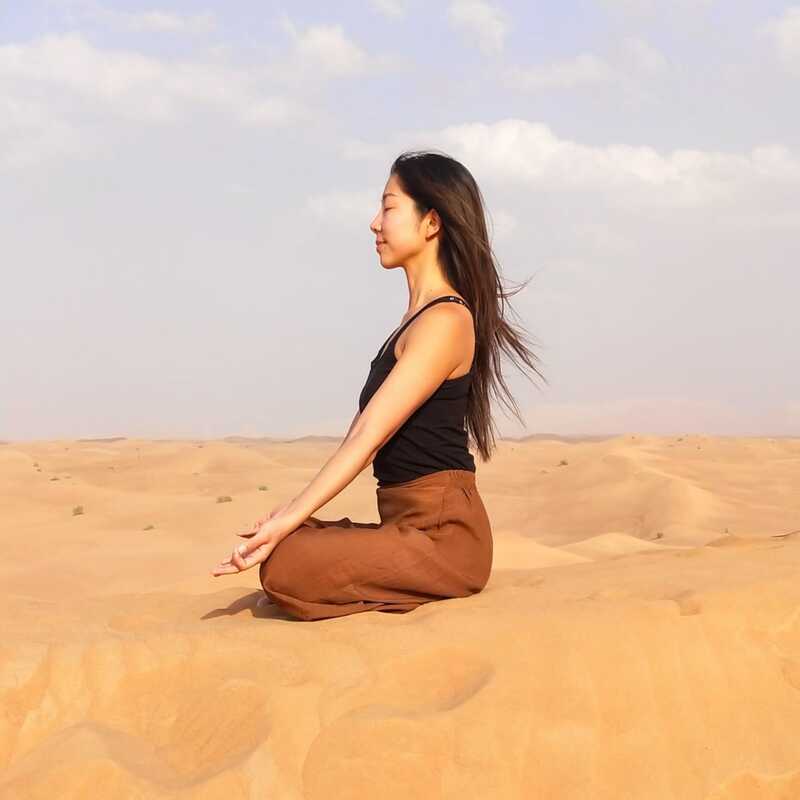 She has then designed a one-of-a-kind transformative teacher training that integrates the wisdom of Yin yoga and the Chinese meridians system. Annie holds a Bachelor Degree in Human Kinetics with a speciality in sport psychology from the University of British Columbia. 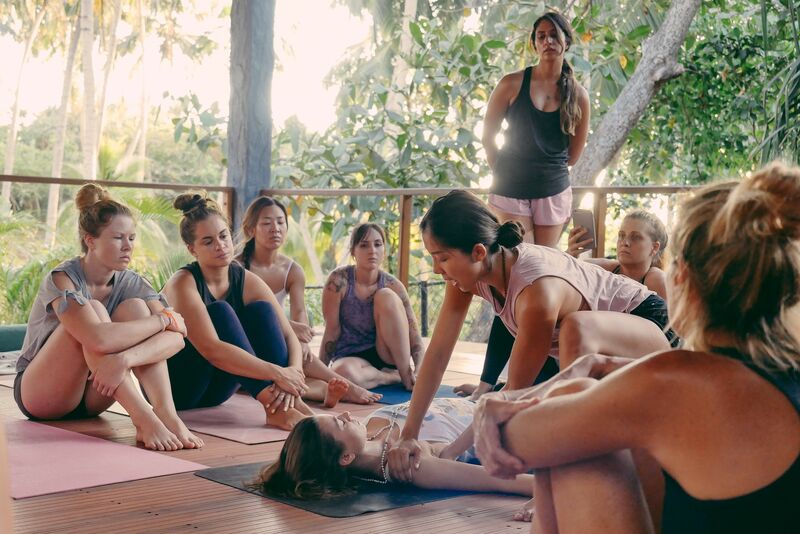 Annie uses an approachable method when teaching yoga anatomy to help students gain a better understanding of the human body and practice more intelligently. Annie can lead a dynamic class filled with inversions with a duality of restorative and healing yin sequences. As a yoga teacher, my goal is to show you the potential of spiritual fulfilment and happiness by offering you the tools to start practicing yoga authentically and ultimately teaching it to others. Of course, I’m not the Dalai Lamai or a Buddha reincarnation. Like you, I am someone who experience the polarity of happiness and sadness that life gives. In the midst of life transitions, heartbreaks, and a health scare, I’ve found yoga. This workshop is a Registered Yoga School (RYS) with Yoga Alliance. Location: The Studio, Abu Dhabi. For people living outside Abu Dhabi city, we will be happy to assist you with great hotel rates located 5 minutes away from the studio.